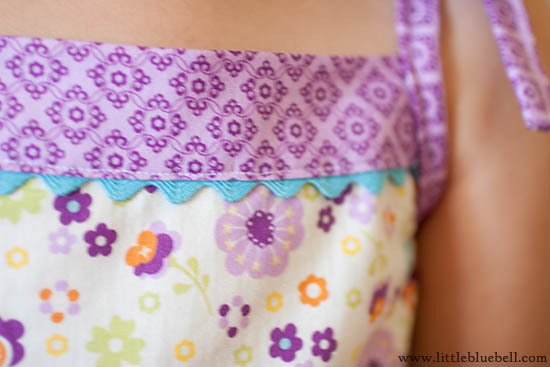 I made this sundress for my daughter using a free pattern from Oliver + S. When I went to Quilt Market this spring I fell in love with the fabric line, Dress up Days by Doohikey Desgins. Shari had the cutest little dolls made from a panel she designed. 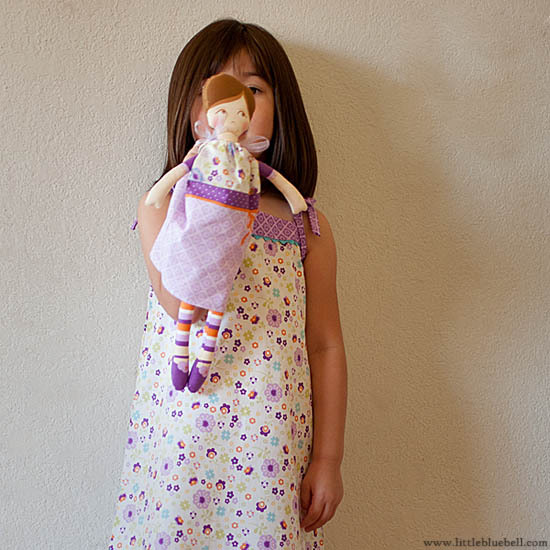 I could just imagine my daughter, swinging and playing all summer with her new little buddy in a dress *I* made for her. Pretty dreamy, right? Well the reality is, she refused to wear the dress and gave me the doll since I loved it so much. What a stinker!!! At least they were fun to make. All of the pieces for the doll are included in the panel. Just cut and sew. She comes with different outfits and her striped legs look adorable with all of them. The sundress pattern was super easy. Liesl suggests adding some trim and I remembered I had some ric-rac in my stash. Oh yeah, there is nothing sweeter than a touch of ric-rac. This pattern is well written, easy to follow, and very straight forward. I especially recommend it if you want to try out garment sewing or if you need a quick and satisfying project. 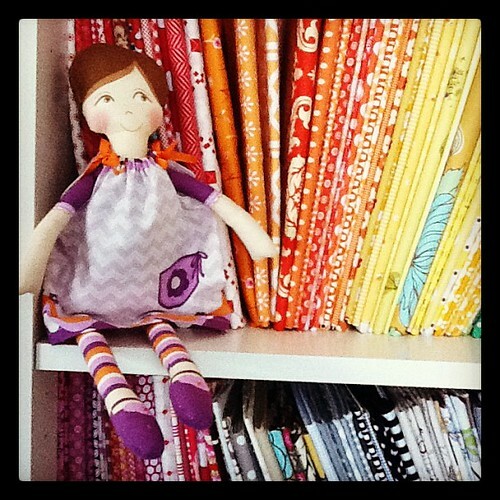 Meet my new fabric fairy... Dahlia. Love the Liesl patterns! Are really well done! So sweet! Love the photos. Fun story. Kids sure can be surprising in how they respond to things I think. I've been looking for doll patterns since we're having a 5th birthday soon and I wanted to try making a dress or two. I'm headed to try my hand at it again. The last time I remember making doll clothes I was in 5th grade learning how to sew and tried making something for my cabbage patch kid. Hopefully this turns out better than I remember that turning out.